Flat Roofers Toronto is a licensed, bonded and insured Toronto roofing company with over 18 years of experience in commercial roofing. We specialize in residential, commercial and industrial roofing jobs across the Greater Toronto Area. We take great pride in delivering high performing roofing solutions to our clients and we have successfully worked on various projects in the region. Our portfolio includes condominiums, residential homes, apartments, shopping complexes, churches, medical facilities, industrial complexes and more. When you hire Flat Roofers Toronto, you can never go wrong. Our seasoned, professional roofers can ensure that each project is completed on time, within budget and built to last. 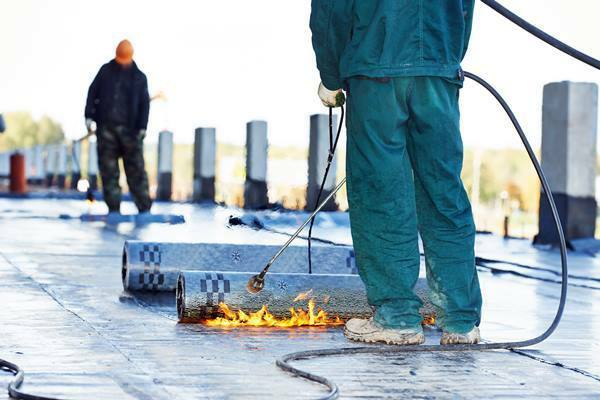 ​Flat roofing has always been a common roofing option for commercial and industrial developments. Nowadays, it is fast becoming a top choice for residential properties as well. Flat roofing is economical, energy efficient and affordable option that makes it an attractive roofing choice for businesses and homeowners alike. For a flat roof or low slope roof to live up to its potential, it requires expert installation from a trusted Toronto Flat Roofer. We offer stellar residential, commercial and industrial roofing services in Toronto as well as Markham, Scarborough, Thornhill, Etobicoke, Aurora, Richmond Hill, Newmarket, Ajax, Pickering, Vaughan, North York, Mississauga and Brampton. ​We take pride in what we do and we make sure to satisfy our customers by offering professional flat roof installation and replacement services across the Greater Toronto Area. When it comes to top quality roofing, you can count on Flat Roofers Toronto. Flat Roofers Toronto is a leader in Toronto flat roofing repair, installation and maintenance. We have over 18 years of extensive roofing experience, customer experience and a solid portfolio of successful projects. A green roof also known as a rooftop garden is an excellent way to utilize every square space of your property. It is beautiful and energy efficient, providing perfect insulation while reducing cooling and heating costs. Asphalt shingles or composite shingles are economical, energy-efficient and come in a wide variety of colors. Asphalt shingles are durable, fire resistant, lasts up to 20 years and is an excellent choice for the Canadian climate. Metal roofing or structural metal panel is an excellent material for a Toronto Flat Roof. It is flexible, durable and has very good hydrostatic properties that repel water. Various materials can be used for metal roofing including steel, copper and aluminum. Flat roofing is an excellent roofing choice, it opens room for a lot of possibilities and is known for being economical and energy efficient. Constructing a flat roof uses considerably fewer materials to build compared to pitched roofing options. Because of the materials involved, building and replacing a flat roof is not something that should be done DIY. Having professional Toronto roofers finish a flat roof would take only a short time and ensures that it is done correctly. Traditionally used in industrial and commercial buildings, flat roofing is slowly becoming a top choice for many residential property owners. It has a compact design and saves a lot of space, ideal for smaller structures such as home additions, porches and garages. 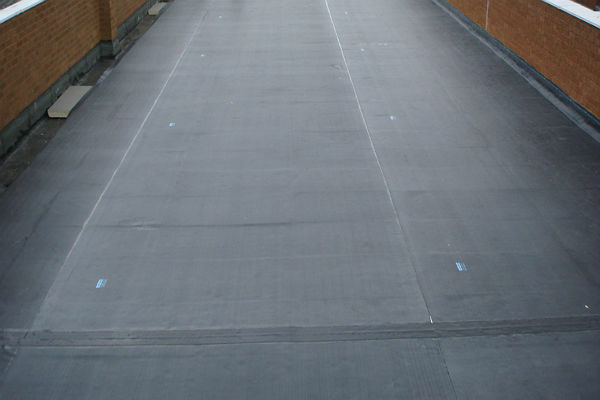 A flat roof has a horizontal base attached to a building ceiling joists, it is then covered with a waterproofing material, usually a polymer membrane and sometimes topped off with mineral or gravel. A flat roof is not actually flat but slightly sloped a few degrees to enable water to drain away and not pool on the surface. Flat Roofers Toronto is the leading flat roofing specialist in the region. We have almost two decades of experience in providing quality low-sloped roofing systems for commercial, industrial and residential properties in the area. Our projects include homes, apartment complex buildings, commercial spaces, and industrial properties. Feel free to contact us and we will be happy to discuss with you a range of flat roofing options for your property. Built-up Roofing – Built-up roofing systems also known as BUR is often called “tar and gravel” roofing. It is made up of layers of semi-flexible felts or ply sheets assembled alternately with layers of bitumen. This is topped off with an aggregate layer of gravel, hot tar or elastomeric coatings. Built-up roofing is known for being durable, energy efficient, weatherproof and low maintenance. Modified Bitumen – Modified bitumen is a type of membrane roofing reinforced with polyester fiber matting or fiberglass. It comes in sheets and can be applied either with a use of a blow torch or cold adhesives. It is a durable, seamless and easy to repair roofing system that is highly resistant to cracks, tough weather conditions and even fire. Modified bitumen is flexible and easily adapts to hot and cold weather, properly installed modified bitumen roof can lasts up to 20 years. EPDM – EPDM stands for ethylene propylene diene monomer, it is an extremely durable rubber roofing that can stand the test of time. Rolled in sheets varying in length from 7.5 up to 50 feet, 45 and 60 mils thick, it comes in black or white. EPDM can be fully adhered, mechanically attached or ballasted, with the seams sealed with liquid adhesive or roofing tape. 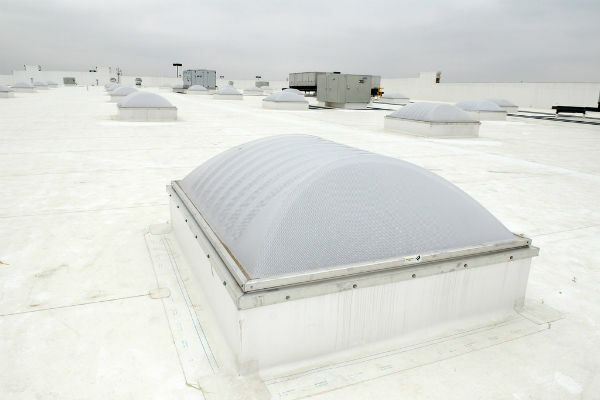 This membrane roofing is known for its superior flexibility and resistance to weather. Single Ply (TPO and PVC) - Single Ply roofing membranes are categorized into two types; PVC or polyvinyl chloride and TPO or thermoplastic polyolefin. Both are installed as a single layer thus the name single-ply. This type of membrane is lightweight, highly durable, inexpensive, has good reflective properties and UV resistance. Professionally installed by qualified Toronto Flat Roofers, a single-ply roof can last up to 20 years or more. 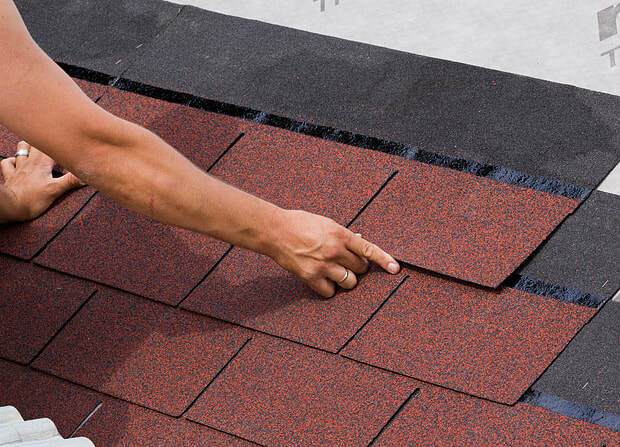 Flat Roofers Toronto offers the highest quality roofing repair, installation & replacements in the Greater Toronto Area. You may request for a FREE estimate by calling us at 647-560-0376 or simply filling out the contact form on this page.